A Russian-German forum suspended last year amid deteriorating Russian-European relations has been tentatively scheduled to resume this fall in Germany, an organizer told Friday. 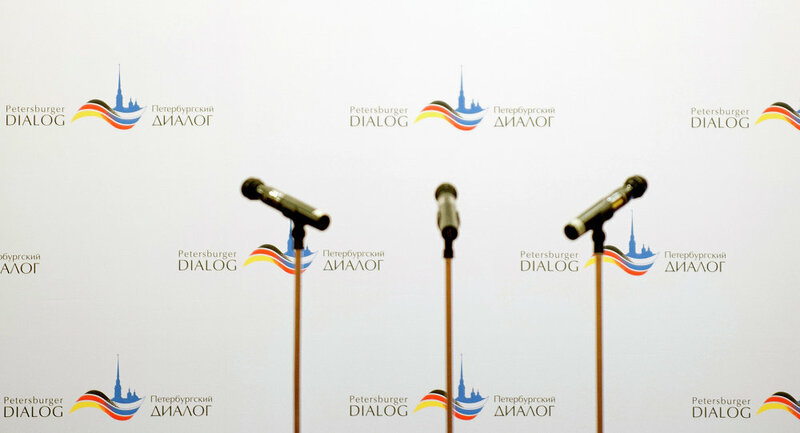 MOSCOW (Sputnik) – Last October, the Petersburg Dialogue’s press service announced that organizers from both sides decided to put off the event indefinitely. The annual Petersburg Dialogue forum was established in 2001 at the initiative of Russian President Vladimir Putin and former German Chancellor Gerhard Schroeder. “The Dialogue will hold its next session this October or November, presumably in Germany. The host city has not been chosen yet,” Martin Hoffmann, member of the Petersburg Dialogue Forum organizing board, told RIA Novosti. The forum is attended by representatives of various fields, and aimed at increasing the mutual understanding between Russia and Germany and broaden bilateral cooperation. Relations between the two countries have grown tense over the past year amid the crisis in Ukraine. Berlin accused Russia of providing pro-independence forces in Ukraine's eastern Donbass region with military support, claims Moscow has repeatedly rejected.